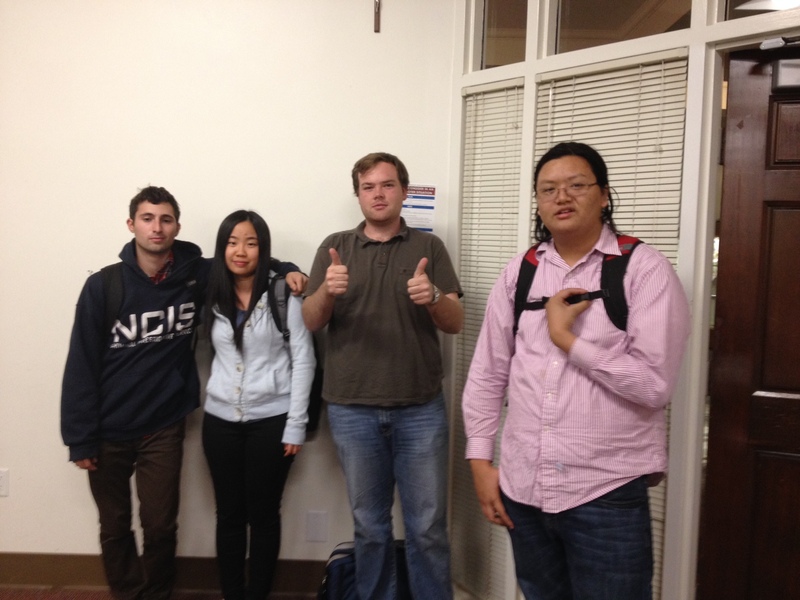 The annual USC BP Debate Team Internal Tournament was held this weekend! The tournament holds a special place in all of our hearts: it is named after Dafne our club’s noble founder, and Daniel our last president. A big thanks goes out to Dafne and Peterson for returning from their post-debate lives to judge our competition. In the end the real stars were tournament winners Harper Hunt and Niroop Rajashekar #PFTW! Best speaker award was earned by the eloquent Anshika Niraj. Have fun eating off of those finalist plates at the banquet! Congratulations to all of the teams and judges that attended the United States Universities Western Regional Championship at Cal Poly! 64 teams from 14 universities competed for the title. USC’s teams included Tim Nguyen & Phillip Richards, Anshika Niraj & Nisha Kale, Kenneth Lee & Justin Bongco, Bobby Vo & Tanay Chheda, and Rebecca Hu & Dan Giles. Judges inclueded Noha Ayoub, Samantha Strong, Darwin Mendyke, and Tina Sayegh. Special felicitations go out to Justin for recieving 7th top speaker award at a 128 person tournament, and Noha for being such a stellar judge as to be chosen to adjudicate the final round. Motions spanned everything from Syria to executive pardons to arts education in schools. After such a long weekend filled with debate and team bonding, we can be sure that everyone is looking forward to spring break! The female warriors of the USC debate team have returned safe and triumphant from the foreign land of somewhere in Canada. This all female tournament provided our debaters a much needed forum to discuss current gender issues, which certainly still exist. If you see them, please ease them back into our patriarchal structure gradually. Congratulations to Noha Ayoub, Nisha Kale, Anshika Niraj, Harper Hunt, and Rebecca Hu for a job well done. Help wish USC’s very own British Parliamentary Debate Team team luck this weekend as we compete at the North American Women’s Debating Championship. The tournament will be hosted at Hart House College in Canada! Provided they are able to thaw in time from the ice that will inevitably encase them upon arrival, teams Anshika Niraj & Nisha Kale and Rebecca Hu & Harper Hunt will vie for the prestigious title. Judge Noha Ayoub will also be in attendance. Stay tuned for updates! The following weekend will bring more competition at Cal Poly SLO, with teams being posted soon. After a weekend of physically taxing debating at the Point Loma Sunset Cliff Classic, our squad showed great success! Congratulations to Anshika Niraj & Nisha Kale for breaking to the Semi-Final Round! Special Congrats to Nisha Kale for receiving a Top Speaker Award! We hope to continue this great path to success and we look forward to having you all there with us! On February 22nd we all went to Loyola Marymount College, a beautiful Christian school that is within eyeshot of the Ocean, to join a number of other California schools for a relaxed practice debate. But really when is debate ever relaxed? Our two teams did much better than expected. Rachael and Tim collected a couple of 2’s (which means they placed 2nd in a debate) and a number of 3’s and 4’s but could not land the elusive 1. Their score of 7 points represents a pretty solid showing on their part. Meanwhile Jeff and Yun did extremely well. They tied for the last break spot – which means that they did just as well as a team that made it to the finals but fell short on the merit of speaker points. The highlight for the author other than Jeff and Yun nearly breaking was of course his encounter with Newt Gingrich at a local In-n-Out at lunch. The guy just looks like a debater.